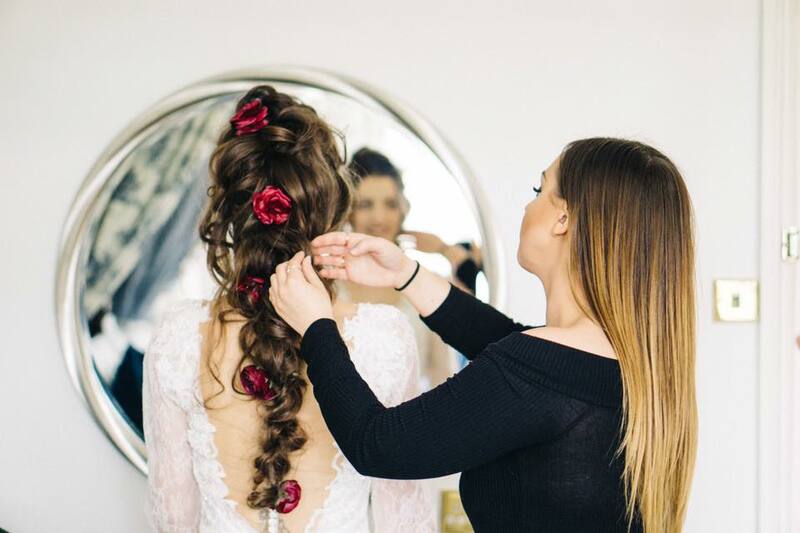 Specialising in Bridal & Event Hair. From a young age, hair has always been a passion of mine. Starting my training at the age of 14 whereby I underwent Hair & Beauty level 1 at Kingston Bucci Shoreham whilst studying at school & working as a Saturday girl. 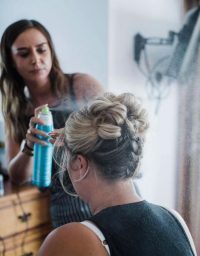 After completion, I went on to study my level 2 Hairdressing at Brighton City College whilst working in a salon gaining experience & really finding my feet within the hairdressing industry. 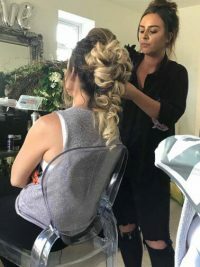 At this point not only did my love for hair & customer service grow & grow it become an obsession of mine, I then decided to go on to study advanced hairdressing level 3 & undertook separate certified courses in Hair for all Occasions, Spray Tanning & Occasion Makeup. After qualifying & after 6 years salon experience from smaller village salons to bustling high street branches I decided to venture off alone & specialise in occasion styling & I have never looked back since. 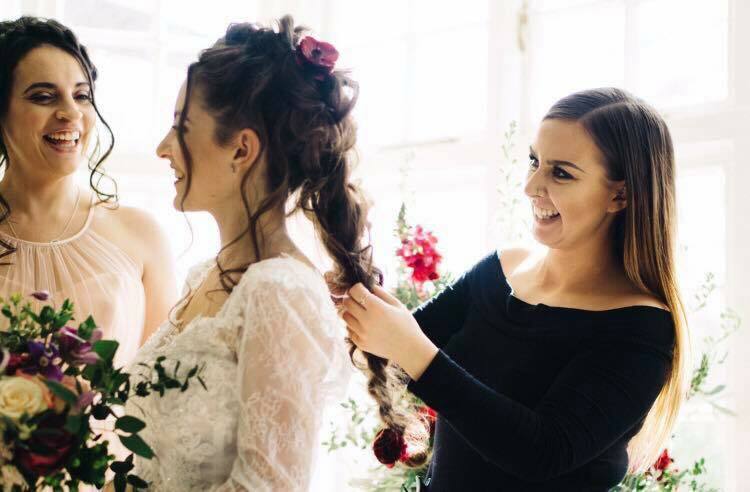 Being a part of one of the most important days in a girl’s life, working behind the scenes on photo shoots, Styling for pre-prom parties, getting creative for themed & avant-garde events, Hen dos, the races, Parties, Solo & Large group bookings… the list is endless. No occasion is too big or small, Whatever the occasion we want you to look & therefore feel the best version of yourself. Now with over 10 years’ experience in the hairdressing industry I still absolutely love what I do and the lovely suppliers I get to collaborate with and most of all my amazing customers who without them I would not be where I am today. 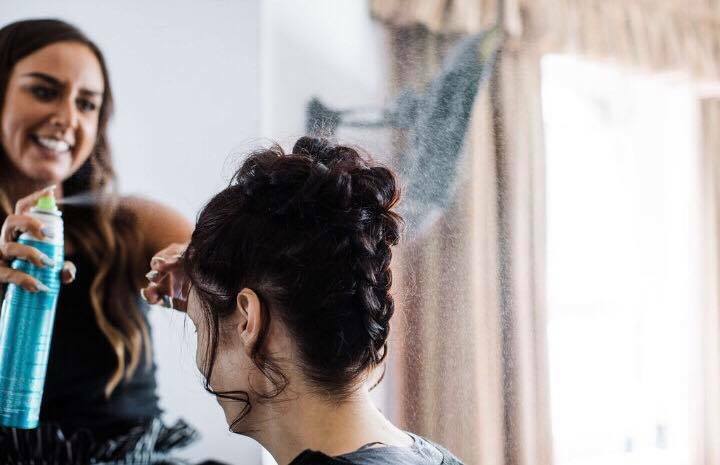 Specialising in bridal & event hair my aim is to ensure your “getting ready” experience is nothing less than perfect. – Offering my expert advice on a personal level to suit all your special requirements.